Special nipping and non-nipping auxiliary cooling carts. We understand the importance of each piece of equipment on a sheet line and offer a wide range of DS-built and DS-specified equipment with experienced partners. Our application engineering is second to none and we work with each customer to deliver a sheet solution that will meet their production demands. 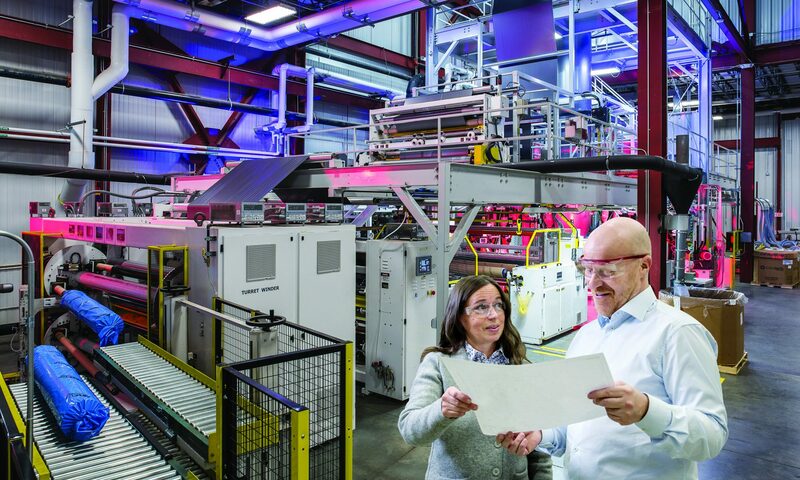 Achieving cost reduction is our goal for applications in the packaging, automotive, appliance, building products and consumer products industries. One of the best ways to do this for sheet applications is through density reduction and/or the use of lower cost fillers. Davis-Standard offers sheet and foam application engineering that is second to none, working with experienced partners to ensure customers have the system their process demands. This includes chemical and physical blowing agent system that allow for material savings of five to 30 percent, as well as systems for feeding talc, CaCO3 and other fillers. Appliance and high-quality electronic sheet applications demand perfection. Davis-Standard has extensive experience in this area. We supply sheet systems that achieve high-quality surface finishes and that utilize engineering plastics to deliver required physical property performance. This includes sophisticated controls for bigger and faster sheet lines. 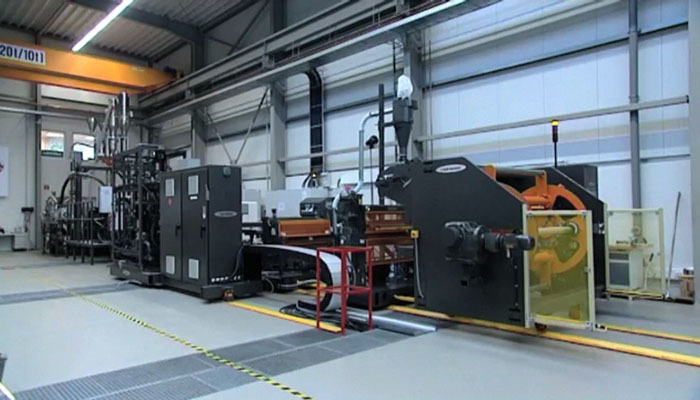 Advantages include on-line low bulk-density scrap reprocessing capabilities, single lane or multi-lane extrusion for optimal cooling performance, and high-speed stacking systems to accommodate maximum available output and cooling. 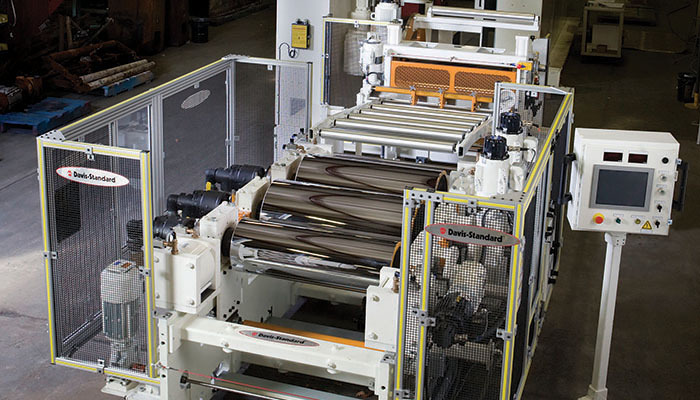 Davis-Standard’s innovative extrusion design engineering and extensive field experience enable us to supply proven technology for plastic sheet utilized in heavy sheet applications for the marine and automotive industries. In addition to Davis-Standard engineered technology, we have trusted relationships with industry partners who augment our lines with specified equipment needed to support our customer’s production demands. This coupled with our extensive control system capabilities give our customers peace of mind knowing that they can come to a single source for the heavy gauge sheet requirements. 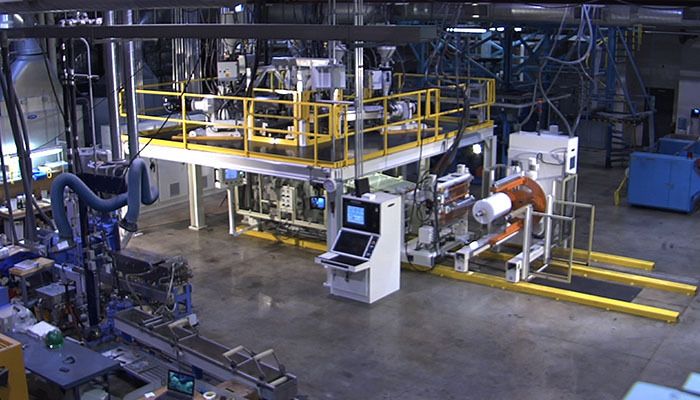 Advantages of our sheet extrusion equipment include capabilities for producing heavy gauge sheet from 1/2 to 3-inch thicknesses, an online lamination system to allow quick pattern changes, single or multi-lane extrusion for maximum cooling performance, and high-speed stacking systems to accommodate maximum available output and cooling. 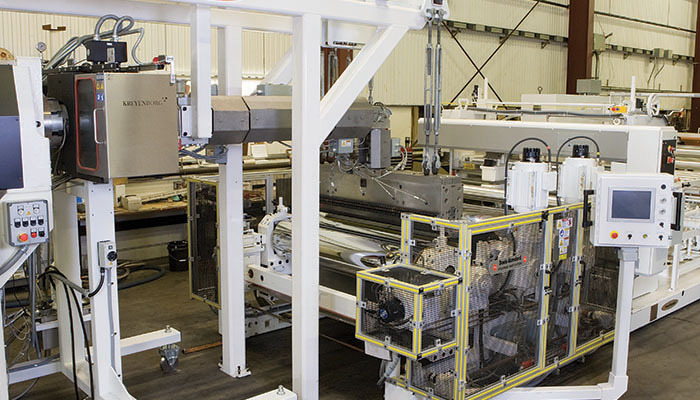 Davis-Standard has over 40 years experience supplying complete turnkey sheet extrusion machinery solutions for roofing and coating sheet applications. In addition to versatile equipment options, we supply control systems to support processing efficiency and user-friendly machine operation. Our sheet extrusion capabilities for roofing lines include direct in-line compounding or single screw extrusion systems (TPO and FPVC) for roofing and waterproof membranes. 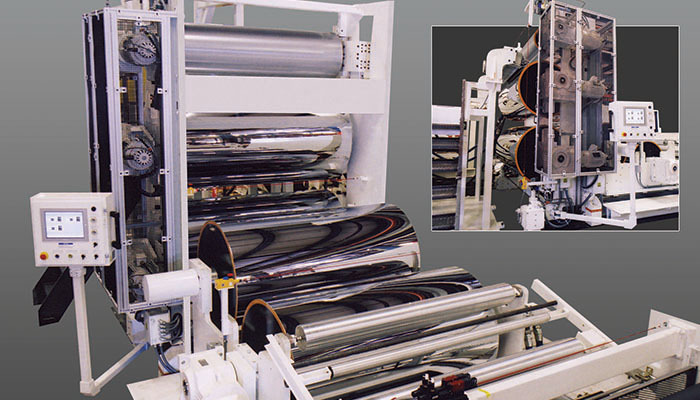 Advantages include innovative designs for heat-sensitive formulations, process verification capability prior to machine production, customized widths based on output rates and variable width requirements, and multiple unwind and secondary substrate laminating capability. For automotive and industrial carpet lines we supply carpet back extrusion coating systems (PE, FPVC, TPO) for commercial carpet and tile carpet applications as well as automotive floor mat and sound attenuation applications. Our thermoplastic extrusion process replaces solution latex coating processes. 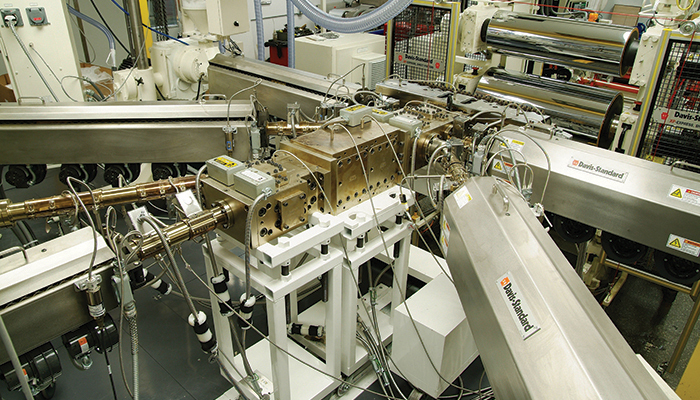 Advantages include high output extrusion rates for efficient processing, energy savings through reduced solution-based product drying, and a smaller footprint. High material mineral fill levels also reduce production costs as does the addition of recyclable content.